The profile of Maverick Athletics is on the rise. UNO's student-athletes are successfully competing at the highest level in collegiate sports in Division I athletics. Maverick Athletics and Baxter Arena not only enhance the visibility of the UNO campus, but they also provide great benefits, both economically and socially, to the Omaha metropolitan area. Baxter Arena opened on campus in October 2015. The arena seats 7,500 and houses men’s hockey, men’s and women’s basketball, women’s volleyball, and numerous community events. Baxter Arena not only enhances the visibility of the UNO campus, but also provides great benefits, both economically and socially, to the Omaha metropolitan area. 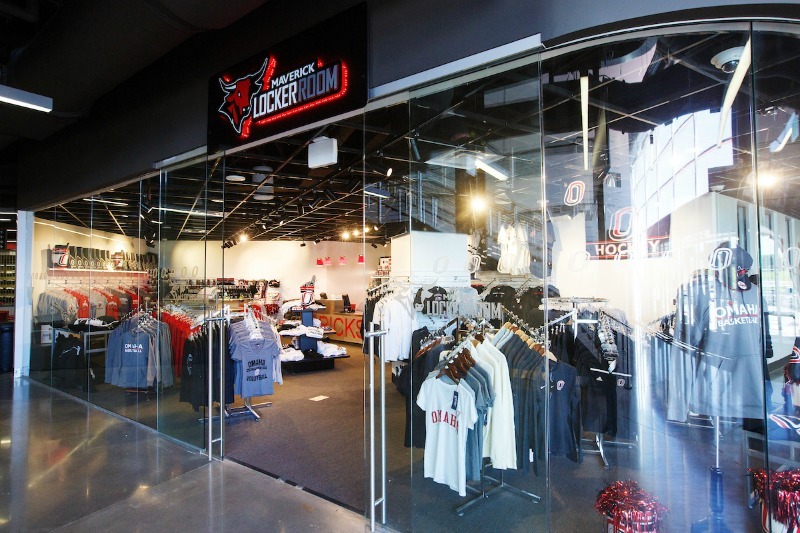 Stop by the Maverick Locker Room at Baxter Arena or the UNO Bookstore on the Dodge Campus to stock up on your MavGEAR. You can also shop online using the link below.